Discussion in 'General Figure Talk' started by Artig Toy Soldiers, Jun 5, 2013. 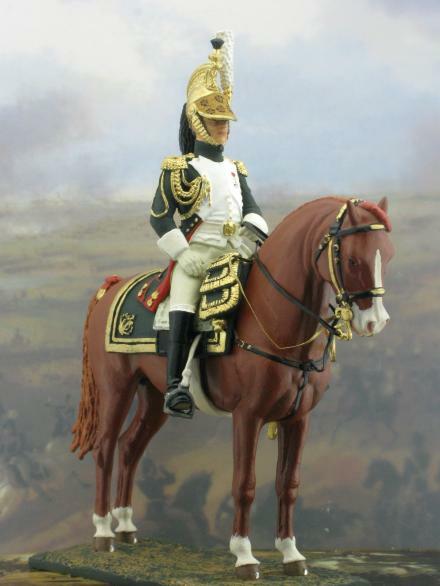 Here is a little mini collection of our mounted dragoons! 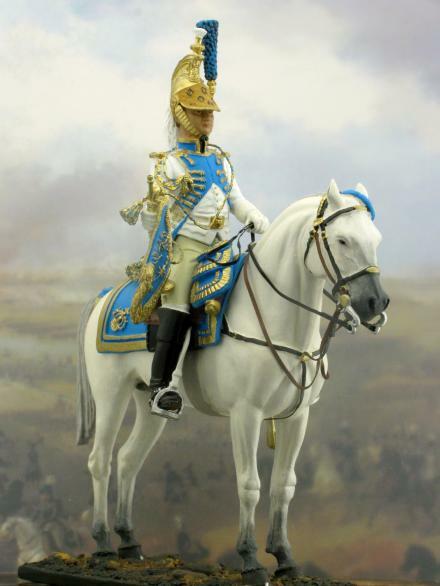 The dragoon regiments of the line distinguished themselves in the German Campaign of 1805, and so Napoleon decided (in a decree of April 15, 1806) to reorganize the cavalry of the Guard and create within it a regiment of dragoons (Regiment de Dragons de la Garde Impériale), made up of three squadrons, headed by 60 officers personally selected by Napoleon. The first squadron was to have 296 men, and be made up of "vélites", whilst the other two were regular squadrons of 476 horsemen. To complete this new unit, each of the 30 dragoon regiments of the line provided 12 men, each of whom had done 10 years of service, and the brigadier, chasseur, and dragoon line regiments provided the sous-officiers. This regiment quickly became known as the Régiment de dragons de l'Impératrice (the Empress' Dragoons) in tribute to their patroness, Joséphine de Beauharnais, and up until its last member died, the Regiment marked the anniversary of her death. The unit's numbers rose to 1269 in 1807 with the addition of two new squadrons, and on December 9, 1813 it was attached to the Guard's 3rd regiment of éclaireurs. 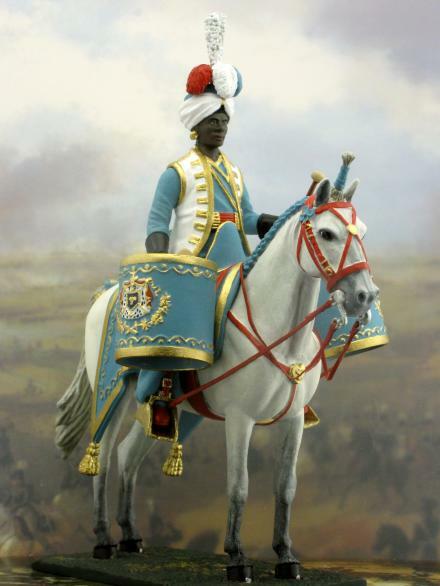 The dragoons' uniform and weaponry was the same as those of the Guard's mounted grenadiers, only in green rather than blue, and (in place of the bonnet à poil) a copper helmet with a hanging mane in the Neo-GreekMinervestyle, and a red plume.